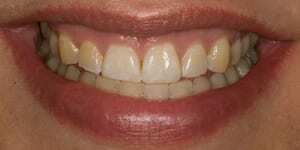 Dental bonding is cosmetic procedure that allows you to fix minor cosmetic defects in one appointment. In the hands of Dr. Burba, the repair will blend with your natural tooth so that no one will be able to tell you had any work done. 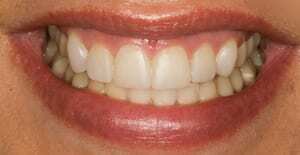 It can also be used for major smile makeovers, although Dr. Burba usually uses porcelain veneers for that. First, Dr. Burba will slightly roughen your tooth surface. Next, a bonding agent is applied. The composite resin is then placed and sculpted. As you can see from the pictures above, your teeth are not monochromatic. If you look closely, you’ll see that there is a color gradient in the teeth. To match perfectly, Dr. Burba has to create a color gradient in the bonding composite. Notice that the biting edge of the teeth is translucent. The tooth gets more opaque and darker the further up the tooth you go. 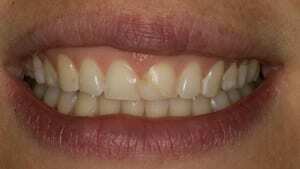 Dr. Burba will mix and use several shades of composite to mimic this effect completely. The final step is to harden the bonding. The composite putty contains material that hardens when exposed to a bonding light. The final step is to trim and polish the tooth. All these steps can be accomplished in just one visit. Since there is so much artistry involved, you want to be careful who does your dental bonding. 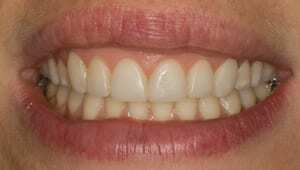 The technique is done free-hand and requires significant knowledge in color mixing in order to make it look natural and match your smile, besides the ability to sculpt a natural tooth shape. Dr. Burba is accredited with the American Academy of Cosmetic Dentistry, which means you can have the confidence he has the skill to give you a gorgeous smile. Here are some cases Dr. Burba has done. If you’re interested in dental bonding, you may call our office to schedule an appointment or click here to request an appointment online.